Last month we released our new SEMrush Brand Monitoring, but we’ve already cooked up some major updates for you! As the name suggests, this tool has been designed to help PR and marketing specialists track and manage online mentions for any targeted keyword or phrase. The new Brand Monitoring allows you to collect and sort online mentions of your and your competitors' product or service – plus it points out new opportunities for promoting and marketing your brand and scoring new backlinks to boost your SEO rankings. From now on, you can cover even more ground, as we added four more languages for tracking: German, French, Italian and Spanish. When starting a campaign, under the ‘General Settings’ tab, you’ll see a dropdown menu with all our language options. Please note that when typing in a targeted keyword in all languages except English, you must comply with all spelling rules of the selected language. For instance, you should include diacritical marks (e.g., á, ö, ç ) when needed and follow all other orthography rules. 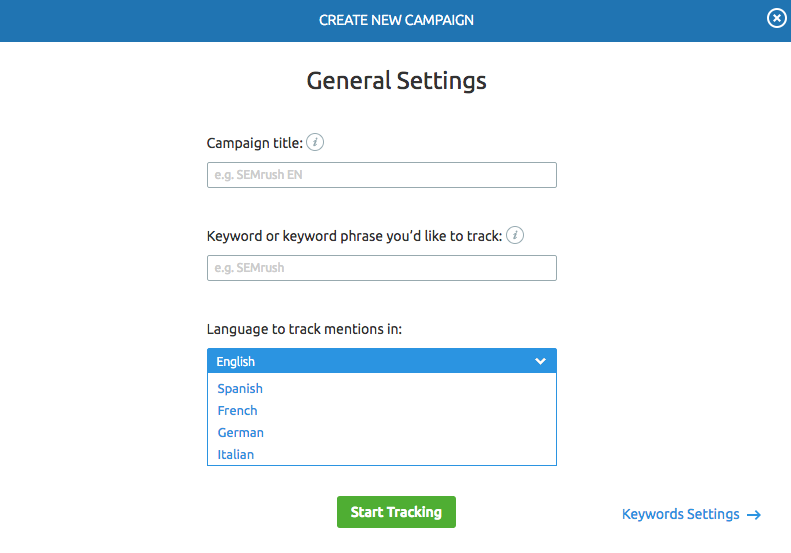 Keep in mind that you won’t be able to change your campaign’s language after it has been launched. 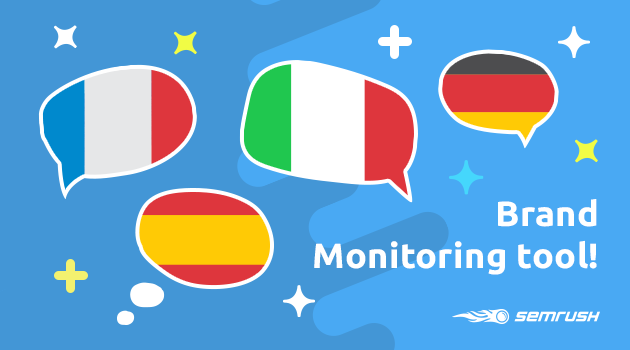 If you wish to track mentions in a different language, you’ll need to start a new one. To help you get around our new tool, we’ve carefully crafted an easy-to-navigate User Manual. You can also check out the Features section of our website. These materials will guide you through everything from configuring your first campaign to effectively using all of the new tool's features. We really hope this update improves your overall Brand Monitoring experience! Feel free to reach out with your comments and suggestions via [email protected].